A lot more than a door stop, ever since I bought a couple of these I absolutely love them. 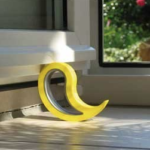 They can be used on any type of surface and are really useful for keeping windows from closing (or opening too far). You can also use Stoppys on your bookshelves to keep stuff upright. Stoppys come in lots of colours and are available at your local DIY store (Leroy Merlin, Aki). For those difficult moments it can also be used as a stress ball too! With tablets, phones and other electronics that all need charging a dozen times a day (ok, slight exaggeration there) I thought that a multiple USB plug might be useful. However, the ones at the DIY stores seemed to be overpriced. And then I found Ikea’s Koppla for under 10€ that has 3 USB ports. There are more options on Amazon, but make sure you check the details as many cheaper options are imports that may not work in Spain. I have to admit to not having bought one of these yet, but it is on the wish list. That’s where the RiutBag is different – it’s designed with the pockets facing inwards. Several sizes are available, with prices starting at £29. 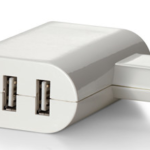 An essential item when travelling, portable chargers have become lighter and cheaper. Although many airports and train stations have charging areas, often not all of them are in working order and, if they are, are occupied by people who spend hours when all you want to do is phone home to let your family know that your plane or train is delayed. When buying a charger, check the reviews on Amazon. 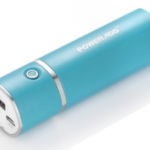 One of the top sellers is the Poweradd Slim, available in several colours. When fully charged you’ll be able to recharge your mobile twice. Do you need one? 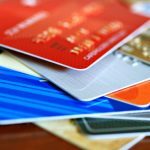 Some experts say that it’s impossible for your card details to be stolen, others say that it is (for example on a crowded train). I won’t be buying any (yet! ), but if you’re interested you can get wallets (several prices) that protect your cards or individual covers that come in packs of 2, 5 or 10 for under 10€. Remember to look out for the RFID Stop logo. For those days on the beach or by the pool, a waterproof and fully conductive case for your phone and/or tablet is a must. 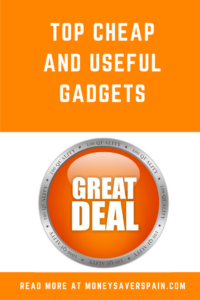 At Amazon you can find universal sizes or more expensive cases for your specific phone/tablet model. Not only do they protect against water, they also stop dust (read “sand”) from getting in and you can still use your gadget whilst inside the case. Once again, make sure you only buy one with good reviews. Avoid cheap imports and imitations, they’re simply not worth it. Victorinox pocket knives come with a lifetime guarantee against defects in material and workmanship. My TV isn’t smart 🙁 , it’s 10 years old and works perfectly so I won’t be replacing it any time soon (fingers crossed). But that doesn’t mean that I don’t want to use it as a smart TV and that’s why I’m considering getting a Google Chromecast. At the moment I haven’t signed up for Netflix, HBO or any other video streaming service in Spain as I don’t have a smart TV, but the Chromecast would solve that. Decisions, decisions! You can buy one from the Google store in Spain for 39€. Amazon has stopped directly selling the Chromecast, however third party sellers still have the item available. Your TV must have an HDMI socket (although there are lots of articles and YouTube video workarounds available if your TV is even older). How many times have you seen people opening their suitcase at the check-in desk for (insert name of airline)? Using your own scales will avoid that embarrassing moment when you realize that you’ll have to fly home wearing 7 jumpers and 3 pairs of jeans! Take a look at this comparison between digital and manual scales. 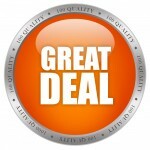 Spend less than 10€ for peace of mind and no extra airline fees. Forget an expensive laser parking assistant for your narrow garage and buy 2 or 3 pool noodles. Just attach them to the back wall of your garage and hey presto! (We hooked them up with some old wire hangers). 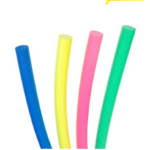 Decathlon stores sell pool noodles for around 3€ each, it couldn’t be cheaper to avoid bumps and scratches on your car.